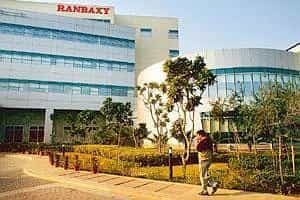 New Delhi: Shares of India’s largest drug maker, Ranbaxy Laboratories Ltd, slid 11% on Tuesday on reports Canada was looking into the safety of the company’s drugs as well as on concerns about its revenue outlook. Ranbaxy shares have been under pressure since the US Food and Drug administration (USFDA) blocked imports of more than 30 of the New Delhi-based company’s drugs last week, saying they failed to meet manufacturing standards. On Tuesday, ‘Mint’ had reported that the Canadian drug regulator, Health Canada, has sent a “regulatory letter" to Ranbaxy Pharmaceuticals Canada Inc., a wholly-owned subsidiary of Ranbaxy and the sole importer of its products in Canada, requesting an action plan and a response to the warning letter issued by USFDA. Ranbaxy, which is being bought by Japan’s Daiichi Sankyo Co. Ltd in a deal valued at up to $4.6 billion (Rs21,022 crore), closed down 11.05%, or Rs38.35, at Rs308.85. “We’re not responding to any media reports," said a spokesman for Ranbaxy when asked about the Canadian letter. The company has said it is committed to “work cooperatively" with FDA. Mint had also reported that German drug regulator, the Federal Institute for Drugs and Medical Devices, is scrutinizing the company’s drugs. The share fall also came after Citigroup Inc. cut its rating on the stock to “sell" from “buy," saying in a client note the company could lose as much as $140 million in revenue in 2009 due to the FDA decision. “The biggest hit would be on (acne drug) Sotret, a branded product with estimated sales of $60 million," said Citigroup analyst Prashant Nair. Sarabjit Kour Nangra, pharmaceutical analyst at Angel Broking Ltd, said Ranbaxy was “being dragged down by a lot of negative reports." “It is a serious issue," said Nangra, who has retained a “buy" rating on the share. “But the comforting thing is that the FDA concern is more to do with process issues rather than quality issues."